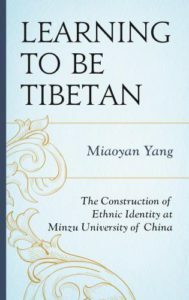 Published in March 2017 by Rowman and Littlefield, “Learning to Be Tibetan: The Construction of Ethnic Identity at Minzu University of China” by Miaoyan Yang is a study that seeks to explore the intersection between state schooling and ethnic identity construction of Tibetan students. Since the founding of the People’s Republic of China in 1949, the Chinese Community Party (CCP) has launched a nation-wide ethnic identification project to recognize ethnic minorities, which are widely considered as “peripheral,” “barbarian,” “inferior,” “backward,” and “distrusted.” State schooling is expected to play a significant political role in civilizing and integrating these ethnic minorities. As an important part of Chinese state schooling, fifteen tertiary minority institutions have been established, assuming a primary goal of cultivating minority officials who are loyal to the CCP. This study, situating in the context of Minzu University of China (MUC), the best university designated specifically for the education of ethnic minorities, seeks to explore the intersection between state schooling and ethnic identity construction of Tibetan students. Ethnographic data has revealed how educational backgrounds of MUC’s Tibetan students have influenced the ways in which they interpret, negotiate and assert their Tibetan-ness. Four patterns of ethnic identification are discussed: (1) For the min kao min students (meaning having received bilingual education in Chinese and Tibetan prior to MUC) in Tibetan studies, being Tibetan means assuming an ethnic mission of promoting Tibetan language and culture; (2) For the min kao min students in other majors, being Tibetan embodies having a different physical appearance, wearing different clothing, engaging in different religious practices, holding cultural beliefs and generally under-achieving academically in Han-dominant settings; (3) For the inland Tibetan school graduates, being Tibetan means having a reflective awareness of their cultural and language loss due to their dislocated schooling and a determination to make up for the past by innovatively initiating, organizing or participating in Tibetan cultural programs; (4) For the min kao han (meaning having received mainstream education the same as Han Chinese prior to MUC) students, being Tibetan is simply a symbolic identity that they sometimes utilize to gain preferential treatments. With the exception of most of the min kao han students, Tibetan identity has been revitalized and strengthened after studying and living in MUC. 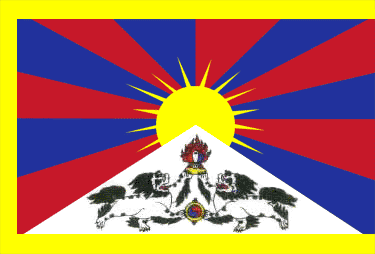 In the process, the unity of the Tibetan group has been promoted and enhanced. Tibetan students’ different approaches to ethnic identification provide us with useful lessons about ethnic identity dynamics in relation to education, culture, and ethnic politics. As opposed to other interpretations that see Tibetans as exotic ethnic others, this study reveals that Tibetan students’ ethnic identification is meaningful when they strategically negotiate with the Han-Chinese-dominant narratives. This study contributes to the understanding of ethnic politics and interethnic dynamics in China.